Dr. Sam Markolf received his B.S. in Chemical Engineering from the University of Texas at Austin and his PhD in Civil & Environmental Engineering and Engineering & Public Policy from Carnegie Mellon University. The topic of his dissertation was “Climate Change Decision-Making at the Metropolitan Level: Current Estimates and Future Drivers of Greenhouse Gas Emissions in U.S. Metropolitan Areas.” His general interests include sustainable planning and decision making at the urban level, climate change adaptation and mitigation, and urban systems engineering. 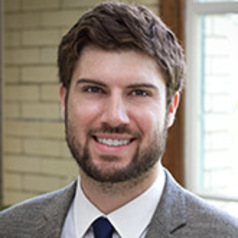 Sam is now a fellow within the UREx SRN and Arizona State University’s Julie Anne Wrigley Global Institute of Sustainability and his research primarily focuses on the integration of Social-Ecological-Technical Systems (SETS) in urban areas. In particular, he is investigating how SETS solutions can be implemented to enhance the long-term sustainability of urban environments and their resilience to extreme events caused by climate change. Sam is also exploring the temporal dynamics of urban infrastructure systems in response to historical extreme events, and working with colleagues to develop novel methods for spatially visualizing and analyzing the impacts of climate change. When not working on ways to enhance the sustainability and resiliency of our cities, Sam is most likely travelling, hiking, biking, playing and watching sports (especially basketball and soccer), or enjoying the company of his friends and family.